Grew Up... in West Havana, Cuba. Ricky grew up on a cigar farm with five brothers – Pedro, Pablo, Chu-Chu, Josinte, and Jose. Though he doesn’t reveal too much from his past, he seems to recall this time fondly. He was raised primarily by his Uncle Alberto, and is reunited with Alberto upon Lucy and Ricky’s visit to Cuba in 1956 – his first time there since leaving for America 18 years prior. Living… in Manhattan at 623 East 68th Street. Ricky reached the shores of Miami Beach in 1938, on a boat with 40 other musicians. By 1940 he had relocated to New York and met his future wife Lucy. The Ricardos eventually moved into Fred and Ethel Mertz’s brownstone and live across the hall from their landlords. Profession… bandleader at the Tropicana night club. Ricky has been an entertainer since the age of 12 and has always known he’d make his living by singing and playing the conga drum. His signature tune is “Babalu.” While his stage act is successful on the nightclub circuit, he also has Hollywood ambitions, the prospect of which sends his wife into a frenzy. Interests… sports. Ricky loves watching boxing with Fred, as well as partaking in fishing, golf, and baseball. Ricky shares Lucy’s and the Mertz’s fondness for card games, particularly bridge. He also loves a good meal, specific favorites including roast pig, plantains, and arroz con pollo. Relationship Status… married to Lucy. It’s a tall order, being her husband. Their relationship is a constant push and pull. Lucy wants to be in Ricky’s show; Ricky refuses, but tries to make her happy in another way. Lucy gets another one of her crazy ideas; Ricky takes away her allowance. But for all their differences, they are fundamentally happy and devoted to each other. Whatever the fight, it always blows over. Challenge… keeping Lucy out of his show. Not only does Ricky doubt his wife’s talents, he doesn’t want her in show business, period. While it’s not too hard to keep her out of the show, it’s impossible to stop her from trying. For years, Lucy has concocted schemes to prove herself and Ricky has to bail her out of whatever mess ensues. In the meantime, he’s trying to maintain his own career and keep her happy. Sometimes it gets to be too much, and all he can do is mutter rapidly (or is it curse?) in Spanish to no one in particular. Personality… loving, but quick-tempered. Ricky puts up with a lot, but not without letting his anger be known. Like Fred, he worries about money and his wife’s spending habits. 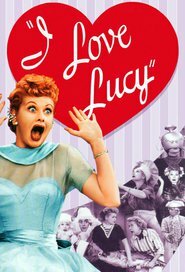 While he’s stubborn about not letting Lucy perform and generally holds an old-fashioned view of women as housewives, he also respects Lucy’s desires and ultimately aims to please her. He’s faithful and caring to the core. Ricky Ricardo's popularity ranking on CharacTour is #4077 out of 5,000+ characters. See our top-ranked characters and read their profiles.